I came across My Ántonia a year after graduating high school. At the time, I was frustrated with my lack of opportunity. As a young immigrant woman, numerous obstacles stood between me and a higher education—documentation being the greatest. It took me two years of paperwork and multiple jobs to find the financial and legal stability to enter college. I used American literature—specifically Willa Cather—to counterbalance my growing frustration with the American legal system. It can be so easy to fall out of love with a place that seems to be working so hard to keep you out. As with any other troubled relationship, I returned to what had stimulated my love for America: nature and literature. It was not Cather’s modern stance on immigration that made her work a refuge for me. It was her depiction of America’s natural beauty. At the age of twenty-eight, driven by hunger, with two daughters aged fourteen and seven, my mother decided to move from Mexico to the United States. The months leading to our move were filled with sleepless nights and prayer. Before we met our “guide,” my mother instructed me to remain silent for fear that I would be mistreated by him or other members of the traveling group. “You can only talk to me and your sister,” she said. The trauma of the journey ensured that I followed her instruction. We walked for miles through the desert and crossed towns disguised as tourists, fearing even to look people in the eyes. Throughout the journey I was silent and my mother mumbled prayers. Perhaps because of the three days spent in a cramped pickup truck or the six years I had lived in the polluted bowl that is Mexico City, where trees struggle to survive, the first time I saw a New Mexican evergreen tree, I felt a wave of sublime freedom. The trees’ intense shade of green made them look depthless and unshakable. Their height made me feel like an ant walking through untamed grass. I felt protected and vulnerable beside such giants. Needles that the trees had shed softened the ground, providing a place for our group to gather and stretch our sore bodies. Just as “sunflower-bordered roads” in Nebraska always seemed “roads to freedom” for Jim Burden, the sight of a healthy evergreen reminds me of freedom. My Ántonia not only served to remind me of America’s natural beauty, it helped to calm my anxiety about my process of Americanization. Cather’s usage of religion and the way it shapes culture brought a new understanding to my view of Americanization. Jim Burden’s grandparents stand as a representation of deep, unadulterated faith. Mr. Burden’s acceptance of Mr. Shimerda’s worship of the Christmas tree shows that he has a mature faith that is not easily shaken. But even this religious tolerance could not keep Mr. Shimerda from losing his culture and consequently his life. Mr. Shimerda brings his violin, which represents his beloved Bohemian culture of song and dance, to America. However, song and dance have no place in Nebraska’s country fields. For this reason, Mr. Shimerda and his culture are later represented in a dying little green insect with a faint song. My mother left a culture of farming to take a place in a factory line, replacing the challenging unpredictability of nature for the monotony of a machine. As my mother worked in the factory lines and cooked traditional Mexican dishes at home, I worked as a bilingual operator and attended Shakespearean plays. Our differences have been sometimes hard to reconcile, specifically in terms of a woman’s role in life. My Ántonia has helped me see that there are several roads an immigrant woman can take, as shown by the varied lives of the “hired girls.” While my mother would love for me to follow her into Ántonia’s role as a preserver of her culture, I see myself as Lena Lingard, who forges her own path, creating a new road for immigrant women to follow. 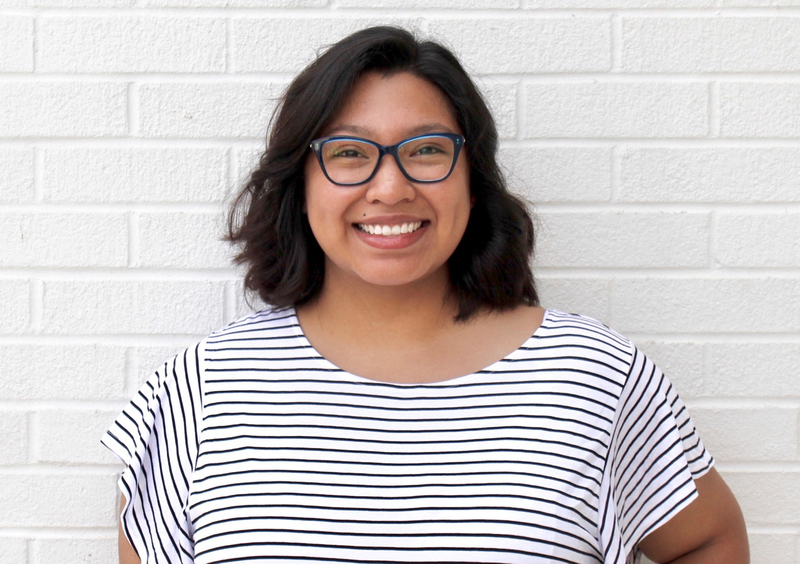 Katerine Avila-Pastor is a senior at Trevecca Nazarene University in Nashville, Tennessee. She is an English major with history and creative writing minorrs. Katerine plans to attend law school after graduation.